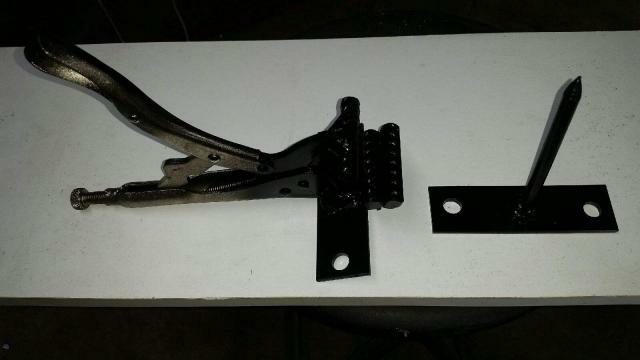 Below is a picture of my Original Skinning Machine Base and RTS Speed Gambrel Combo. Skinning Machines are used to make skinning raccoons and coyotes easy but they really help on otter and other tough to pull critters. (see videos below) It really saves on your body allowing you more time and energy to set/tend more traps. They pay for themselves in no time. These bases are designed to be mounted to your concrete or wooden floor. They install in minutes with just two 1/2" lag screws or cement wedge anchor bolts. Bases of all my machines swivel so as to allow you access to all sides of the animals while being placed close to the wall and saving the precious space in your fur shed. All my skinners can be used in conjunction with an electric hoist (suggested), 12v. winch, or boat trailer type manual winch. 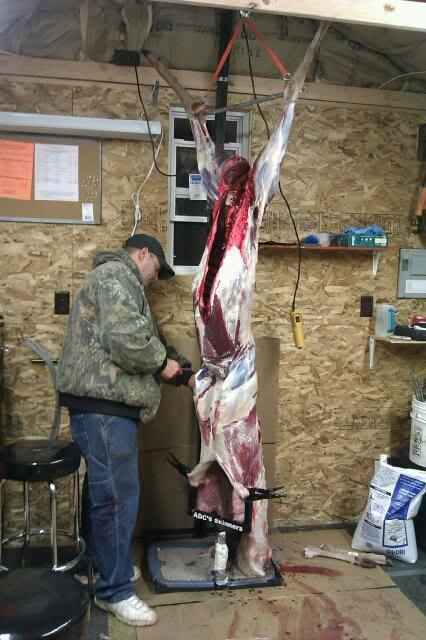 Simply mount your hoist above the base and you're ready to skin. *With this gambrel, you don't have to worry about not cutting into the tendons, and works for all your typical furbearers that you'd use a skinning machine for. You just hook the ankle into the slot and you're good to go. *Hoists for these machines are very affordable as well. They will cost less than $90 shipped to you in most all locations. PM me for more info on them if you're interested. Thanks! I can also custom design other type skinners to suit the various needs of different fur sheds. To discuss, or order your skinning machine, PM or TEXT or CALL ME 641-990-4681, PLEASE leave a message, I'm inundated with junk calls but I'll call you back right away. 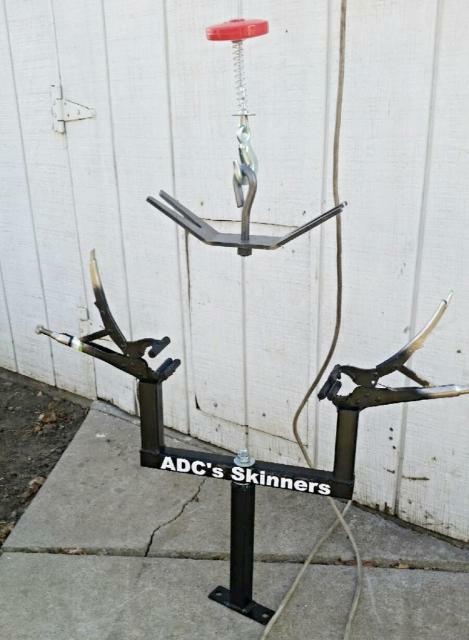 I am certain we can get you set up with a skinner that will work well for you. Thank you. *$15 off the cost of these skinners if you order them without the gambrel. While I don't advertise them as bear skinners,,, well, there it is rockin' it! I know this is a very old post but all prices are current. Thank you for your interest.